﻿The Department of Homeland Security has confirmed that a device used to eavesdrop on cell phones and other electronic devices was detected near the White House, prompting concerns that it may have been used to spy on key government officials - including President Trump's non-secure iPhones. The letter from DHS official Christopher Krebs hilariously begins by thanking Oregon Senator Ron Wyden (D) for meeting with him "to discuss your objection to Senate consideration of the President's nomination for me to serve as the Under Secretary for the Department of Homeland Security's (DHS) National Protection and Programs Directorate (NPPD)." Krebs' letter is a follow-up to an April communication with Wyden in which he revealed that "anomalous activity" was detected in Washington D.C. consistent with "stingray" surveillance devices during an NPPD pilot program. 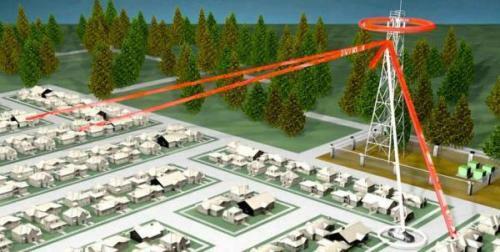 In a new response posted by Senator Wyden, Krebs admits that "While the NPPD pilot did observe anomolous activity that appeared consistent with IMSI catcher technology within the NCR, including locations in proximity to potentially sensitive facilities like the White House, NPPD has neither validated nor attributed such activity to specific entities, devices, or purposes." In other words - someone was probably trying to spy on the White House and other "sensitive facilities," but DHS has no clue who it was or why they did it. Another DHS official who spoke anonymously to AP in April said that the devices were detected during a three-month trial of equipment provided by Las Vegas-based agency contractor, ESD America. 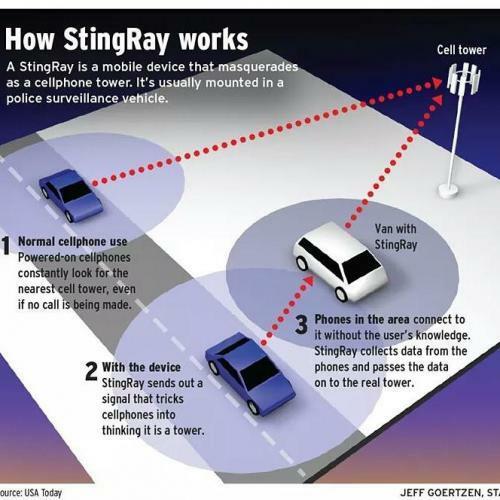 The Stingray units operate by tricking a cellular device into locking onto them instead of a legitimate cell tower - revealing the exact location of a particular phone. As AP notes, more sophisticated versions can eavesdrop on calls by forcing phones to step down to the older, unencrypted 2G wireless channel. Other Stingray devices can plant malware on a phone. American intelligence and law enforcement agencies use similar eavesdropping equipment in the field, which can cost anywhere between $1,000 to around $200,000. The devices are typically the size of a briefcase but can be as small as a cell phone. Police use Stingrays to track down and implicate perpetrators of mainly domestic crimes. The devices can be mounted in vehicles, drones, helicopters, and airplanes, allowing police to gain highly specific information on the location of any particular phone, down to a particular apartment complex or hotel room. In his April letter, Krebs noted that the DHS lacks the equipment and funding for wide-scale detection of Stingrays - even though their use by foreign governments "may threaten U.S. national and economic security." Turner says that every embassy “worth their salt” has a cell tower simulator installed, which they use “to track interesting people that come toward their embassies.” The Russians’ equipment is so powerful it can track targets a mile away, he said. How to shut them down? As AP notes, shutting down rogue stingray devices is an expensive prospect which would require the wireless industry to completely upgrade its infrastructure, which security experts say companies are loathe to pay for. The upgrade could also lead to conflict with U.S. intelligence and law enforcement agencies. At least 25 states and the District of Columbia use the devices, according to the ACLU. 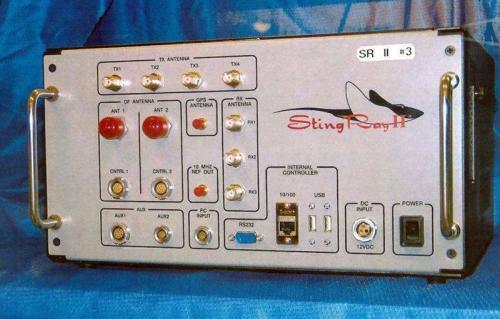 After the 2014 news reports about Stingrays in Washington, Rep. Alan Grayson, D-Fla, wrote the FCC in alarm. In a reply, FCC chairman Tom Wheeler said the agency had created a task force to combat illicit and unauthorized use of the devices. In that letter, the FCC did not say it had identified such use itself but cited media reports of the security sweeps. The FCC, however, said the agency's only role is "certifying" that said devices don't interfere with other wireless communications. In other words, despite the prevalence of stingray devices throughout our nation's capital and most assuredly in use across the rest of the United States, nobody seems to be able to do anything about it.